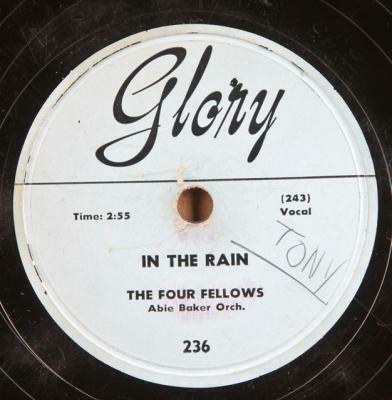 Fine R&B vocals by Brooklyn based group, The Four Fellows. Condition: V,V-; Plays fine over light to moderate surface noise. Overall light graying of grooves and moderate scuffing/rubbing. Pencil writing on labels and small tag on one label. Slight warp, n.a.p.